Join us for our first-ever wine education class October 14. This class is the perfect opportunity to learn the art of wine tasting and fine-tune your tasting skills. Put your skills to practice as we taste 10 wines representing a variety of grapes. Complimentary cheese and crackers will be provided. 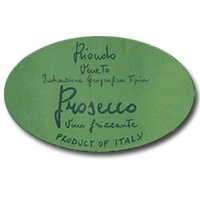 Special Discount: Enjoy 10% off any wines purchased during the class. 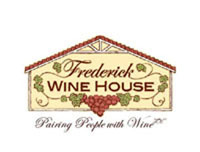 Frederick Wine House and the Valley Grill at Hollow Creek Golf Club are having a wine dinner on June 4th from 7 to 10 p.m. You can check out the menu here. It certainly looks good on paper. The cost is $85 per person which includes tax and gratuity doesn’t seem outrageous for what you are getting. The wines look interesting- all Italian (yay!). I was also excited to see that they are having vinsanto with the desert course. This traditional Tuscan dessert wine made from Trebbiano and Malvasia grapes is generally hard to find and I’ve never seen it in any Frederick area wine store. I wonder if this means that the FWH carries it? I’d love to get my hands on some. I have an Uncle (1st generation Italian-American) who loved a glass after dinner and have fond memories of him introducing me to the stuff.